Right now the motorcycle industry is struggling. We are in a transition period from the old faithful riders, to getting the young guns up and going. But it isn’t just about getting younger riders on bikes, it’s about getting bikes younger rides actually want to ride. That is where the Mosquito comes into play. Hilariously the hot bikes as of late are the pint-size variations often called ‘beginner bikes.’ While I am a firm believer that small bikes can often be as fun if not more than their liter-bike cousins, I am well within the minority when it comes to that way of thinking. Even still, the mini-bike market is on the rise, making it feasible for newer companies to pop up. 47Moto is one of those companies. 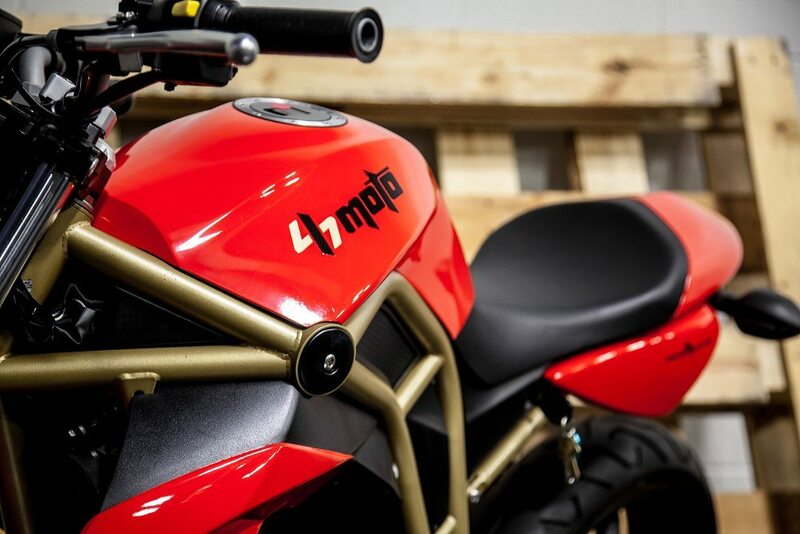 Based out of Minnesota, 47Moto is a startup that plans on bringing a new type of motorcycle to market, a stylish 250cc bike tailored to the urban rider. Fittingly called the Mosquito, 47Moto is targeting those that are looking for a small, economical motorcycle, but don’t want to compromise when it comes to style. 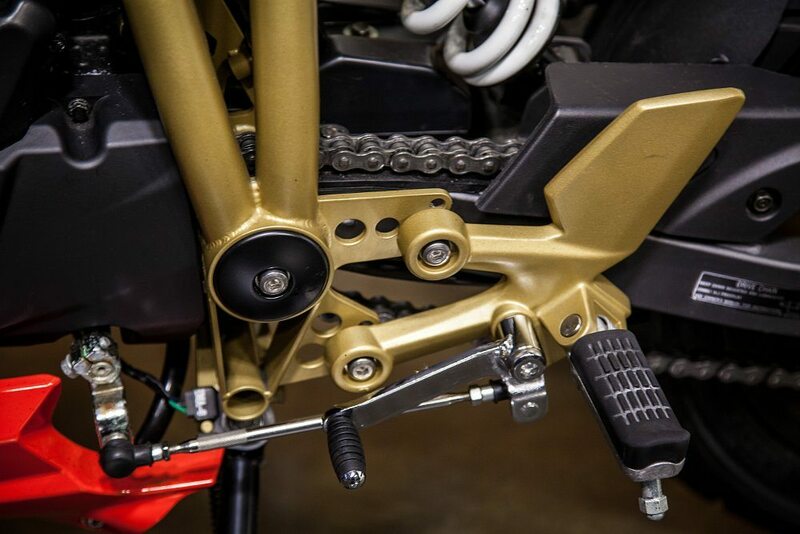 The other aspect 47Moto is adamant about promoting is the adjustability their bikes will have. 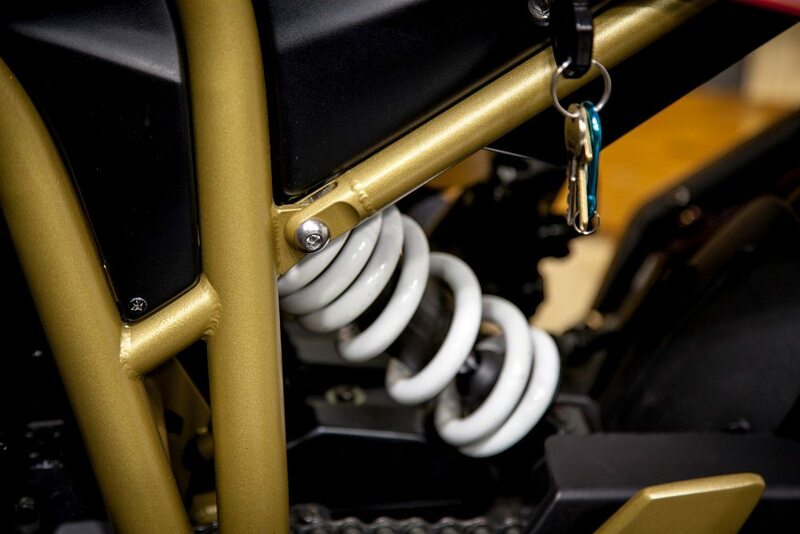 A unique frame design allows the ability to adjust the ride height without affecting suspension travel, as well as side stand and footpeg positions. This has two potential benefits for a varied level of riders. It offers beginners the ability to find a comfortable ride height, which in turn inspires confidence. But it also allows more experienced riders to dial in a setup they prefer without costly modifications. Not to mention seasoned riders that are on the short side of things, and don’t prefer a cruiser. 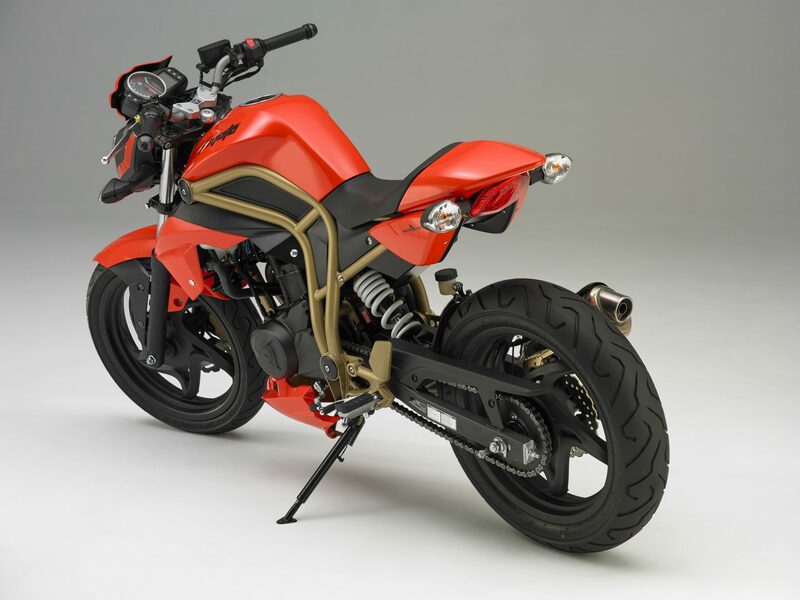 The entire concept of 47Moto came from Mike Samarzja, a former design manager for the infamous Buell brand. And before you think it, no this isn’t another Buell Blast. In fact, there may never be a bike as terrible as the Blast, and we should be thankful every day for that fact. 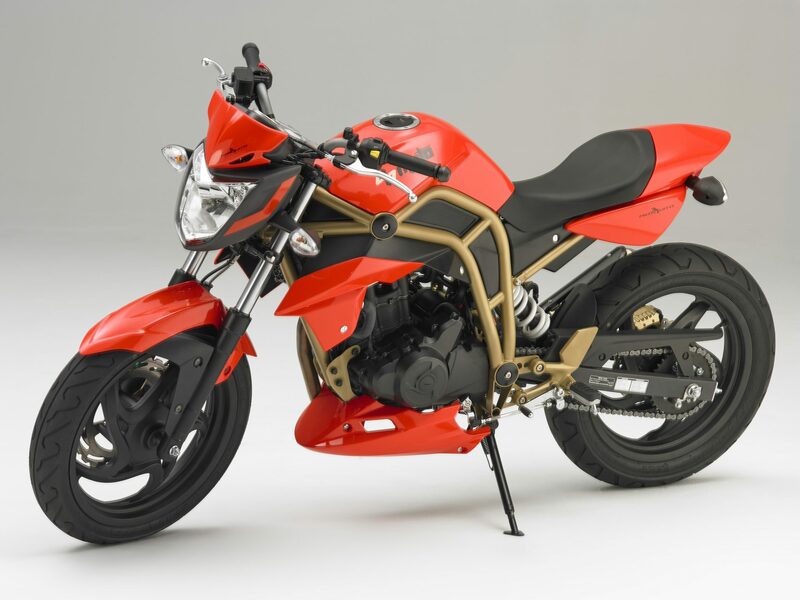 The Mosquito will instead feature a 250cc single cylinder engine manufactured by Taiwanese brand, SYM. SYM has built engines for both Honda and Hyundai, as well as making their own motorcycles. 47Moto will utilize SYM’s T2 model, sourcing the engine and wheels before electing to build everything else. The crew unveiled their flagship model, the Mosquito, at the AIMExpo this last weekend. But amongst their introduction, they already have big plans for the future, including a lineup expansion as well as an engine growth. 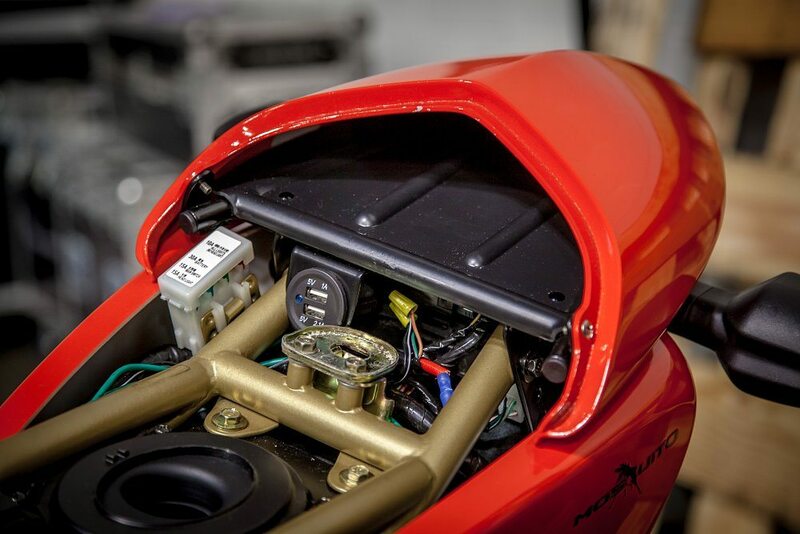 47Moto hopes to have a 300cc engine before long. Once they have that in place the company is looking to add two other models, the Dragonfly and Firefly City X Adventure. While the Dragonfly will mainly be a Mosquito with a back seat, the Firefly is 47Moto’s way of capitalizing on the current adventure bike market. With prices starting around $5,000 and up these won’t be the cheapest lightweights on the block, but they will be American assembled and better looking than most. Performance is pretty decent from the pint-sized machine. The 250cc engine is good for 25hp, on par with even the best 250cc bikes. The company is also offering a 90/90 setup. That means the Mosquito is capable of 90mph, or 90mph. Unfortunately not at the same time. You also get 4-pot brakes and stainless lines stock, all for under 5-grand. 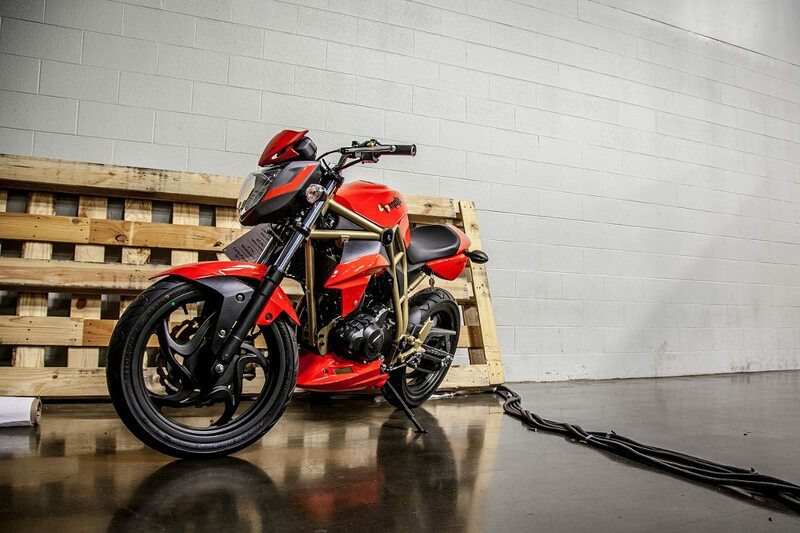 The Mosquito may be a small motorcycle, but it sure is set to be a mighty package. With the success of bikes like the R3, and Ninja 300 I wouldn’t be surprised if this was a massive success for the urban market.